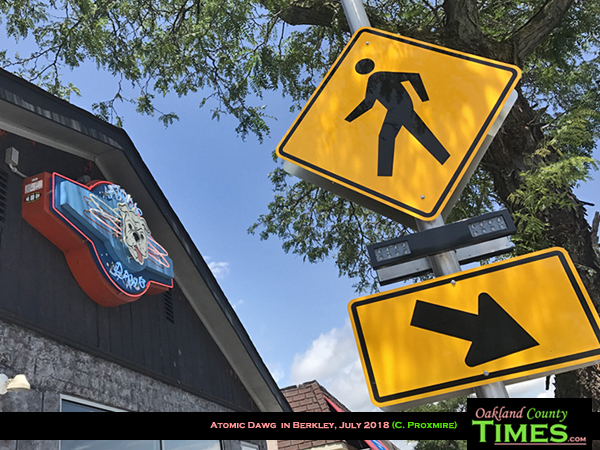 (Crystal A. Proxmire, July 29, 2018) Berkley, MI – Looking for a yummy hot dog spot, with a cool vibe and quality food? Well, Atomic Dawg at 2705 Coolidge in Downtown Berkley could be for you. 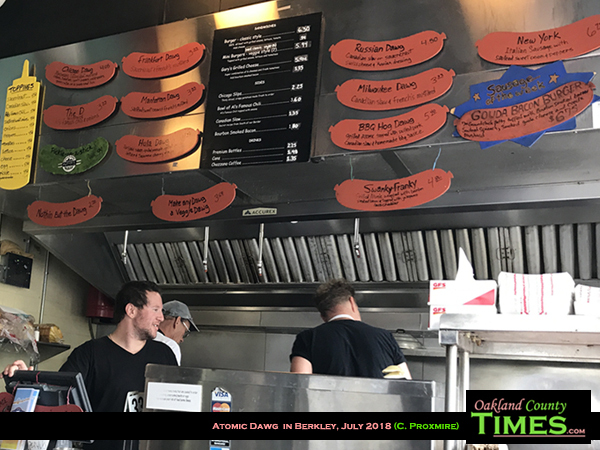 I had my first Atomic Dawg last week when I went there for a meeting. 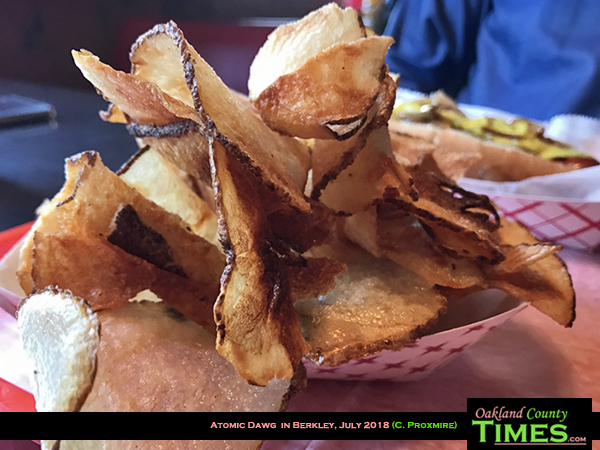 Business got done over a couple Manhattan Dawgs and a side of “slips,” which are Chicago-style, made to order, thin-sliced potato chips. The Manhattan Dawg comes with grilled onions and mustard. I washed mine down with a can of Dr. Brown’s cream soda. It was a neat place, and the variety of dawgs is impressive, including the BBQ Dawg (with pulled pork, Canadian slaw and house-made BBQ sauce), the Hula Dog (with teriyaki, grilled pineapple, grilled onions, lettuce and Japanese cherry mayo), and the Russian Dawg (sauerkraut, Swiss cheese and Russian dressing). I’m told that the burgers and grilled cheese are good too. And there are vegetarian burgers and dawgs for those who may not be in a meat-eating mood. 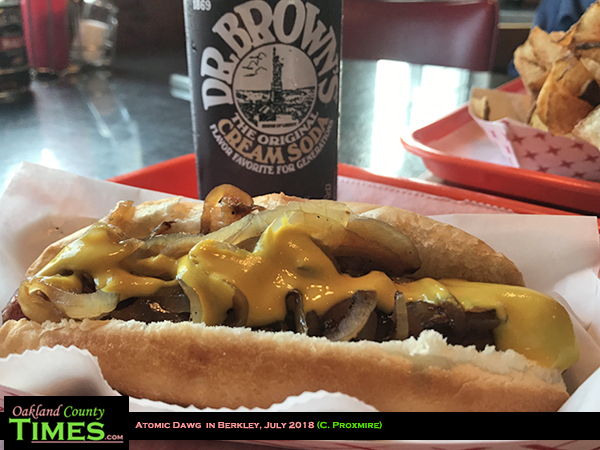 Atomic Dawg works with local vendors, including McClure’s Pickles and Chazzano Coffee. Learn more about this Downtown Berkley gem, check them out online at http://www.atomicdawg.com/.